“I would like to travel here for ….. wks, which vaccine will you recommend?” This is a very common question in our travel clinic. Unfortunately, to answer this basic question is not as easy as it seems. Practically, we could not answer this question at once; we have to ask many questions back to obtain some information. Questions include; how long will you stay? ; which part of Thailand that you would like to travel to? Will you travel to other country in Southeast Asia? What will be your activity and your accommodation during this trip?, and so on. Apart from that, we have to ask about your health status, previous vaccination history, etc. Why do we have to do that? Why don’t we just create a vaccine list and apply it to all travelers? It is because everybody is not the same. Risk to get each disease in each individual is not the same. Let’s say, if a businessman plan to attend a meeting in Bangkok for 4 days and ask us about rabies vaccine. We will not recommend. On the other hand, if a backpacker plan to travel throughout Southeast Asia for 2 months; we would recommend rabies vaccine. That’s an obvious example. The risk for that backpacker is clearly far greater than the risk in businessman. But what should we do if that businessman plans to stay in Bangkok for 1 yr to settle down his business. Will we recommend rabies vaccine? Probably yes. And how about other vaccine? There are many factors that we have to consider before recommending the vaccine. This process is called “Risk assessment”. After that, we will suggest a strategy to minimize the risk or “Risk management” plan. Vaccine is a very good strategy for most situations. However vaccine is not a universal answer in all case. We should consider the risk of the diseases, the efficacy, side-effect and the cost of the vaccine. Discussion about the risk and benefit of vaccine is very important. Travelers’ preference is also an important factor that we have to consider. Each traveler has his/her own preference. Some may say “I prefer all vaccines, it’s better to prevent everything” while some may say, “Doc, just keep it minimum please”. Good two way communication between you and your doctor is very important. All issues should be discussed in pre-travel visit. I will try to discuss the risk of each disease and whether we’ll recommend its vaccine in the next post. 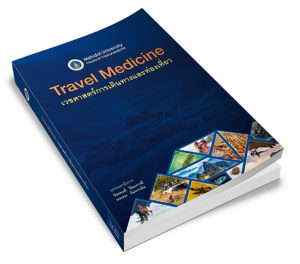 1 comment to Which vaccine will you recommend for traveler to Thailand? Nice tips. Thanks for sharing with us.